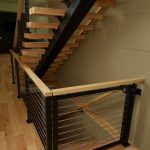 Installed in a home in Garrettsville, Ohio, this FLIGHT floating staircase shows off our beautiful Ash Thick Stair Treads. 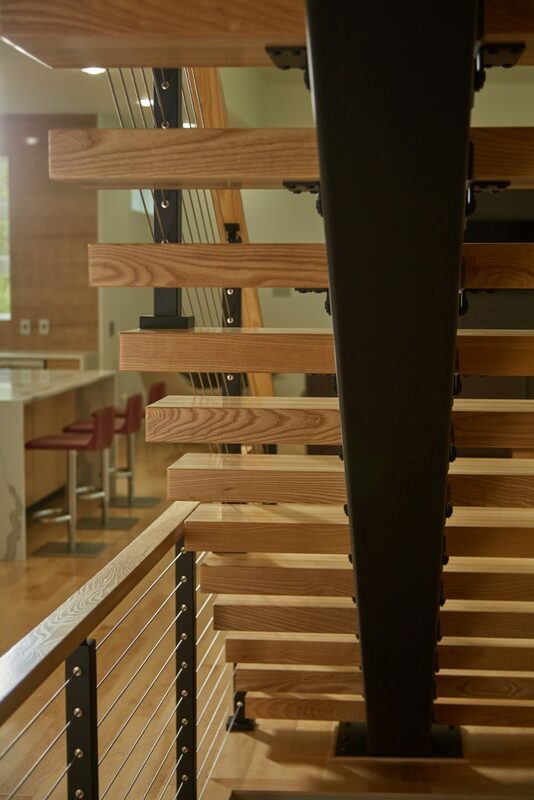 Light color and a highly defined grain pattern makes these treads pop against our black aluminum posts. 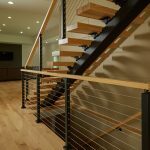 Better still, the treads helped these owners keep their costs low, as Ash is a budget friendly alternative to more expensive wood types. 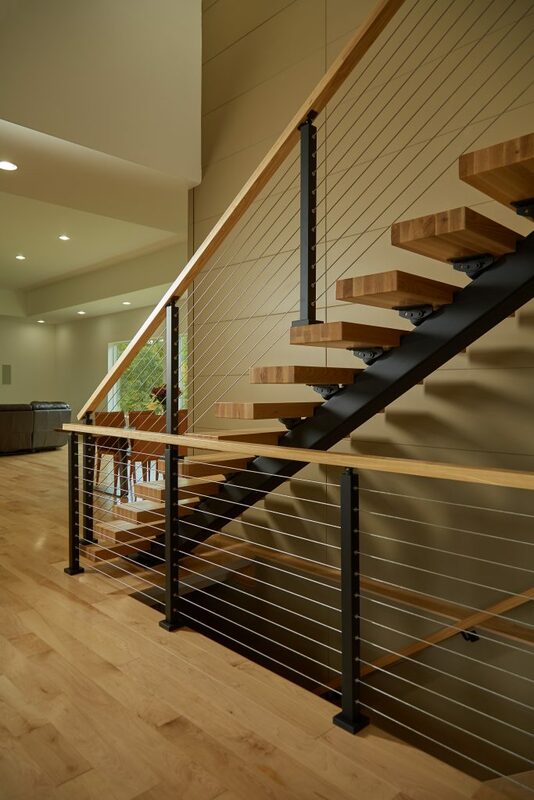 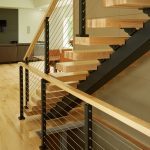 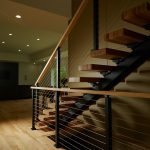 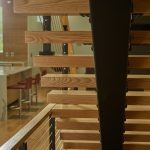 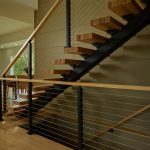 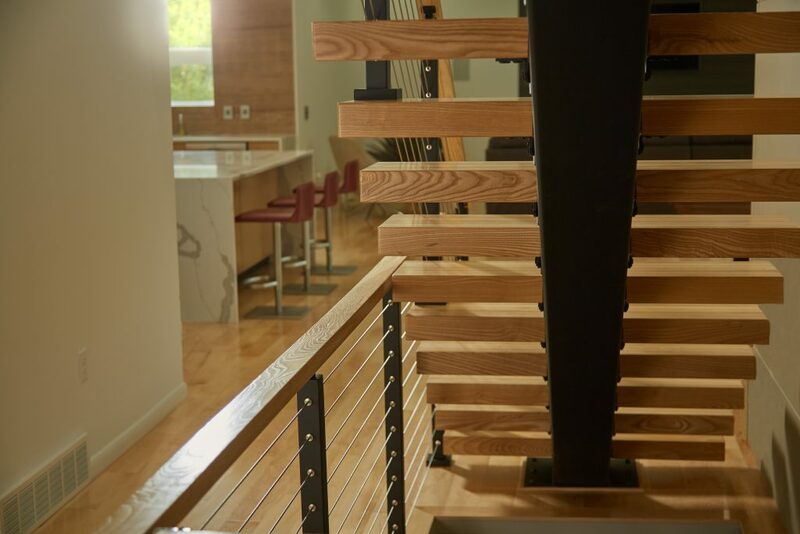 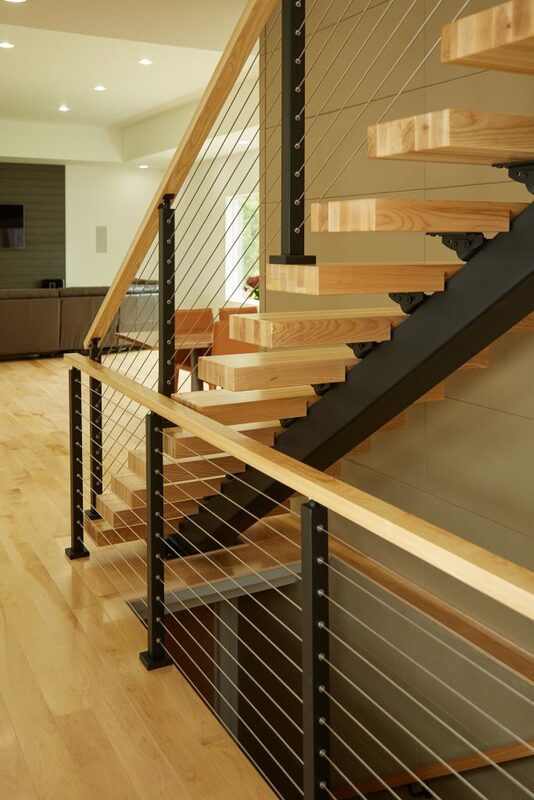 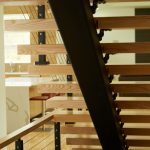 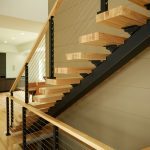 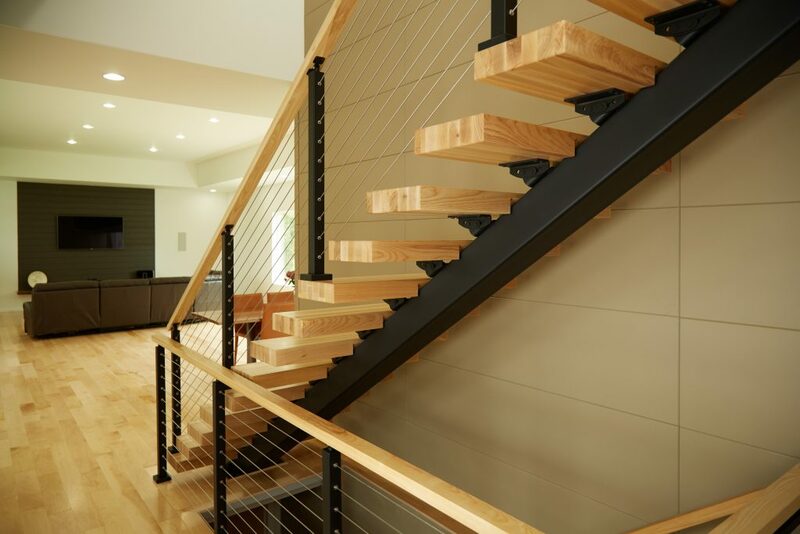 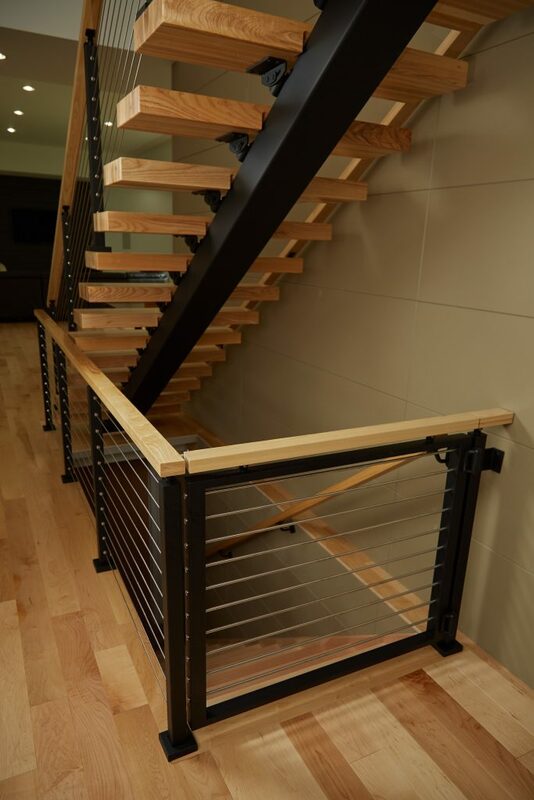 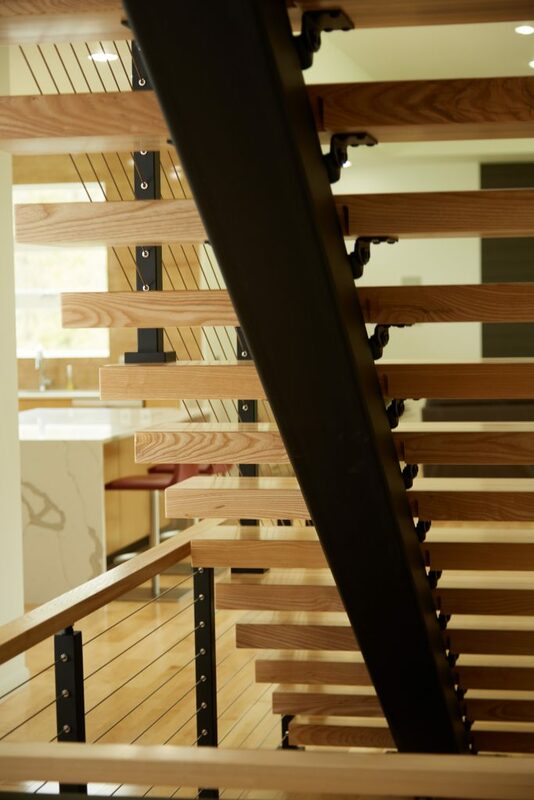 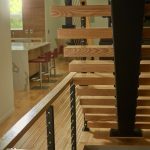 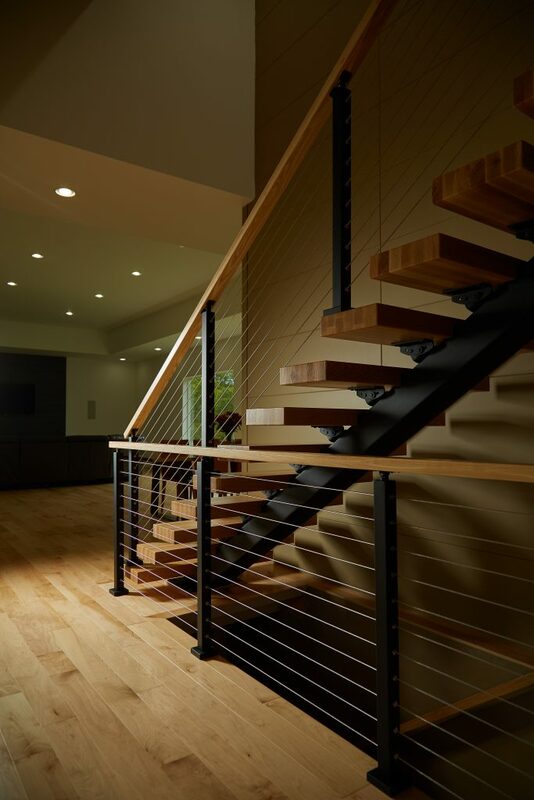 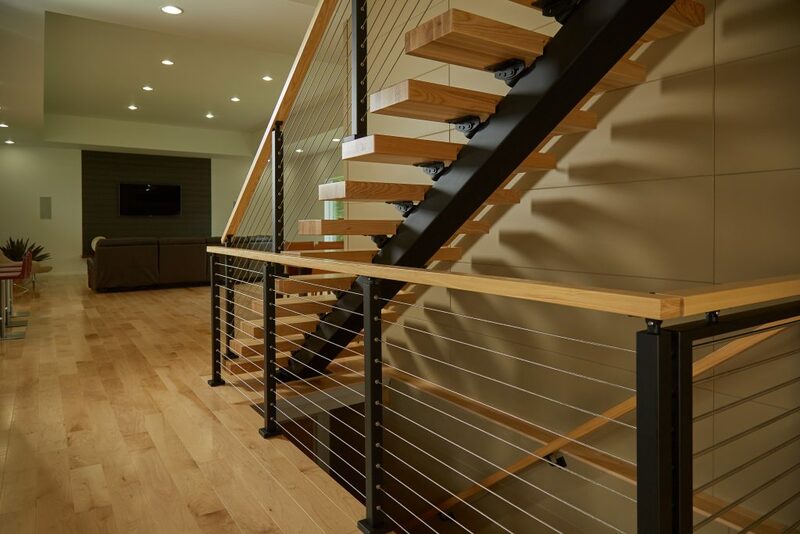 Our sleek, Mission-style Ash handrail coordinates perfectly with the treads and contrasts the sturdy black posts. 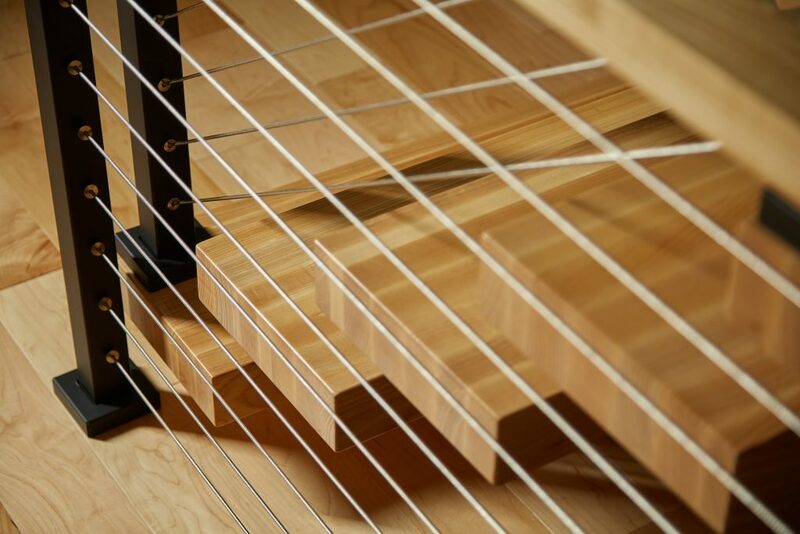 A powerful black powder coated steel stringer holds the entire system up. 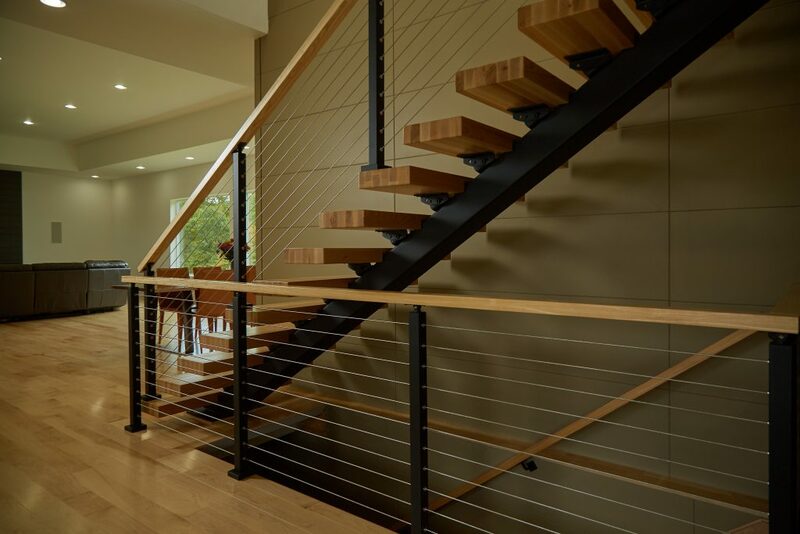 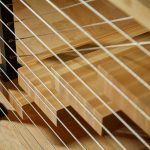 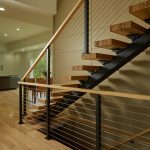 This sleek, modern, and high-quality floating stair system is an eye-catching centerpiece–a conversation starter for years.